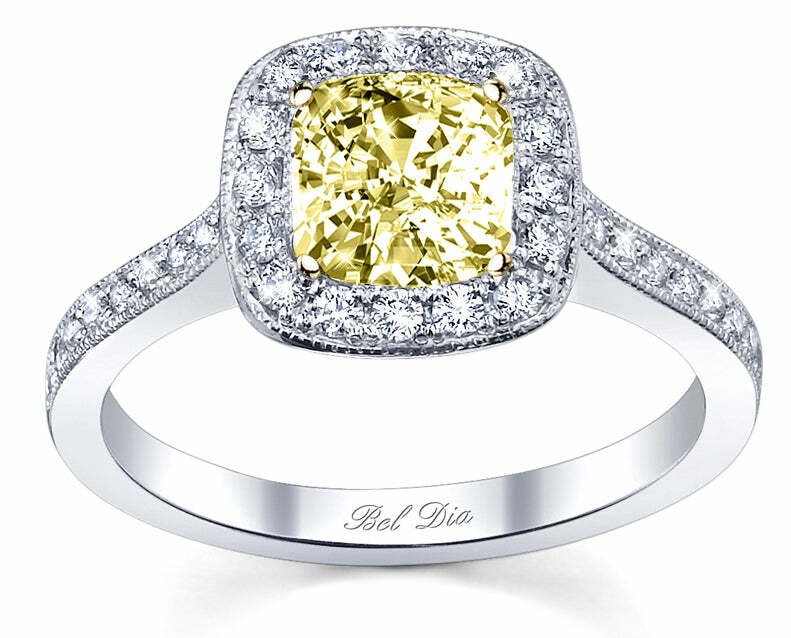 Our yellow diamond halo ring settings are exclusively available in our Bel Dia Collection from deBebians. deBebians launched an exclusive line of engagement rings last year called the Bel Dia Collection. deBebians is now proud to announce that the Bel Dia Collection has expanded and now features fancy yellow diamond engagement rings. Our collection of yellow halo rings has been modified specially to showcase the beautiful and unique color of your center diamond. 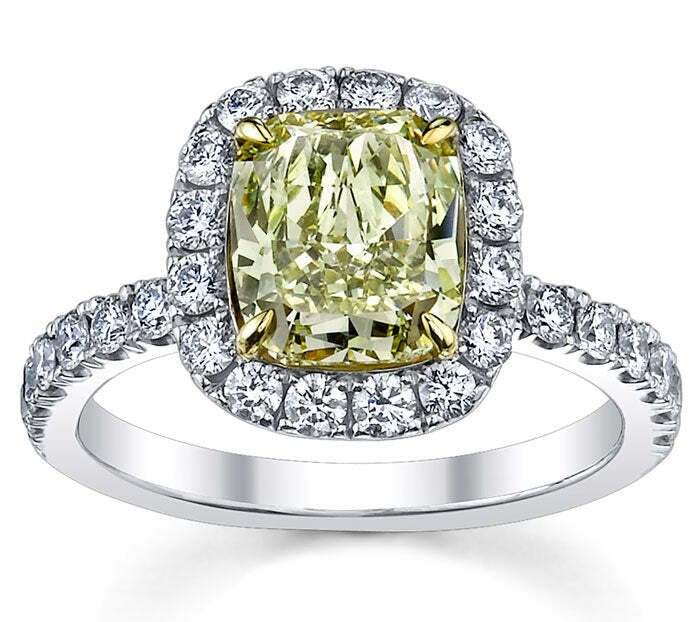 Our yellow diamond engagement rings are created with the utmost care to showcase and highlight the center diamond. engagement ring for you as well as the center stone that fits into your budget. We buy diamonds, & also deBebians is proud to offer a loose diamond search for white diamonds & now for yellow diamonds. Our yellow diamond search features various diamond shapes, carat weights, and different levels of color intensity. Please do not hesitate to contact us with any questions that you may have. You may leave a message on this blog post or give us a call at your convenience.